When it comes to dressmaking, people think you either have the talent to or not to make your own clothes or for others. Well I have to admit I have sewn for about 15 years but if you follow a pattern its really easy. Anyone can pick up sewing and get along with it. Obviously if you haven’t sewn before then start at beginners but you can make something simple. 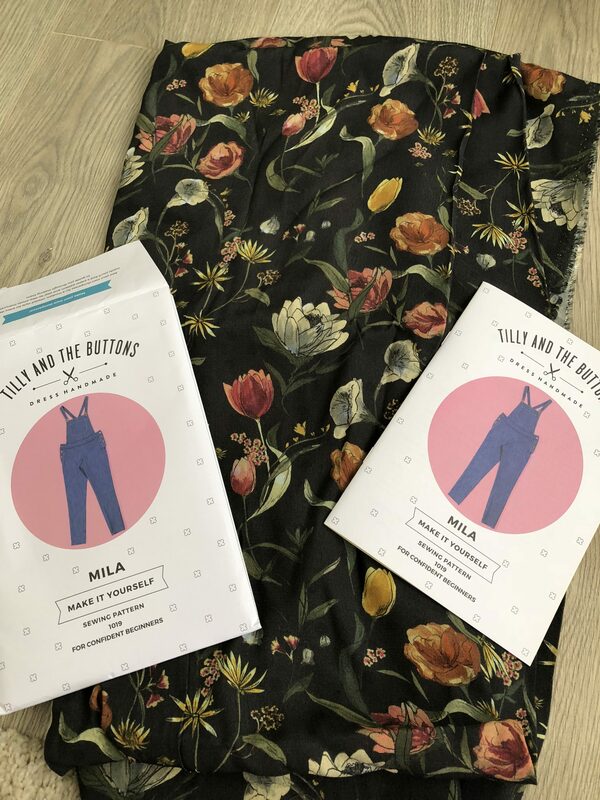 This is my first time using Tilly And The Buttons dressmaking patterns and the Mila dungarees pattern is for a confident beginner. I am more than a confident beginner so this pattern was really easy for me but I would say this is too hard for someone who is making this as their first project. 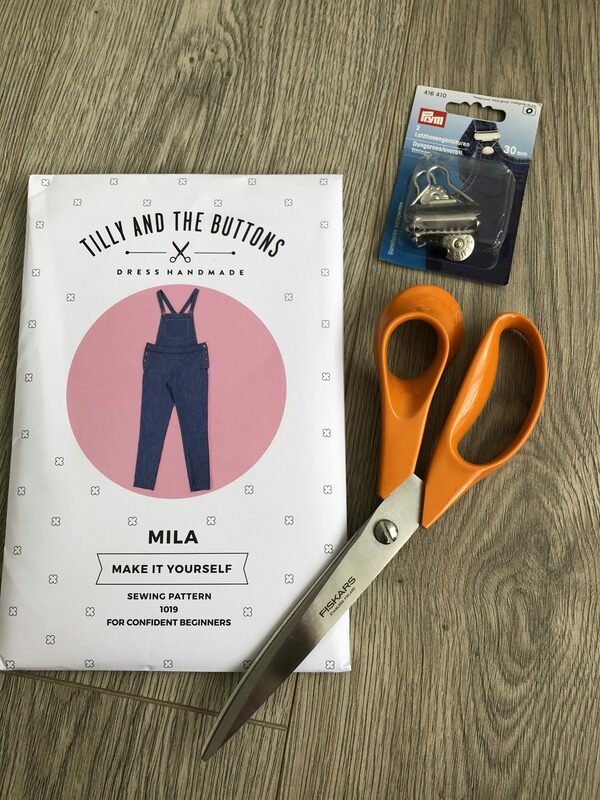 Tilly’s patterns are new and up to date. I love them now I have done a few. In the pattern, are all the pattern pieces you’ll need and the booklet of how to make. The instruction booklet is so easy to follow with each step having a picture of how to as well as the writing. 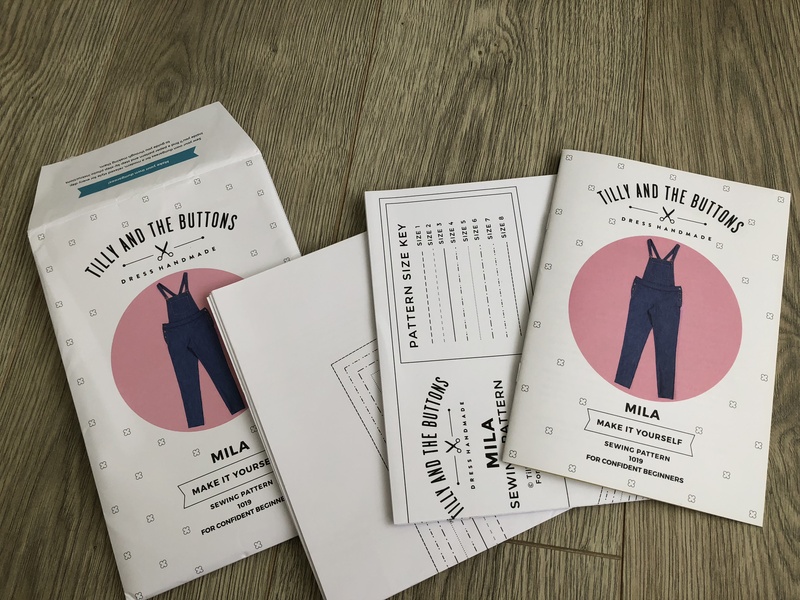 On the back of the packet has all the sizing, a quick introduction to the pattern and what else you need to make the pattern such as buttons and the amount of fabric required. It’s really handy as this is shown online too so you can see what you need as you purchase your pattern. Also gives you the chance to have your fabric ready and waiting for when the pattern arrives. 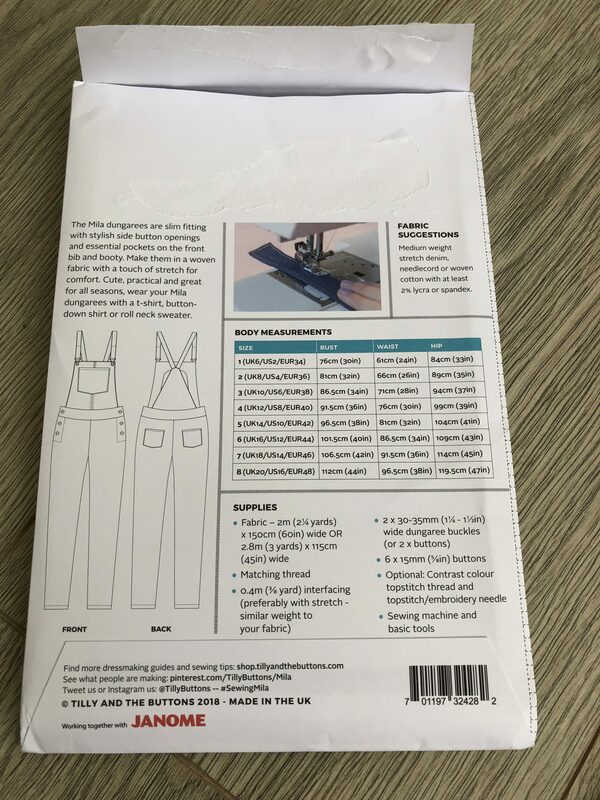 If you are buying the dungarees pattern they also sell the clips which I found handy. As I said the instructions are really easy to follow. It has how to lay the fabric and pattern pieces and various ways depending on your fabric size which is really good. As long as you follow the instructions you are going to walk away with a new garment to wear. The pattern pieces themselves are in a good quality paper with all the sizes on one. I would say go a size or two bigger than you are because it’s always better to be too big than small. Easy to take in and fit better with too much fabric. As this was my first Tilly and the Buttons pattern I did a size UK 14 where I am a size 10/12 normally. I now know I can be a 12 in these patterns but at first I was worried the 14 wouldn’t fit. Cut your pattern pieces to size it makes it fit better and look at better quality. The instructions are detailed so your final garment does look shop brought and professional. 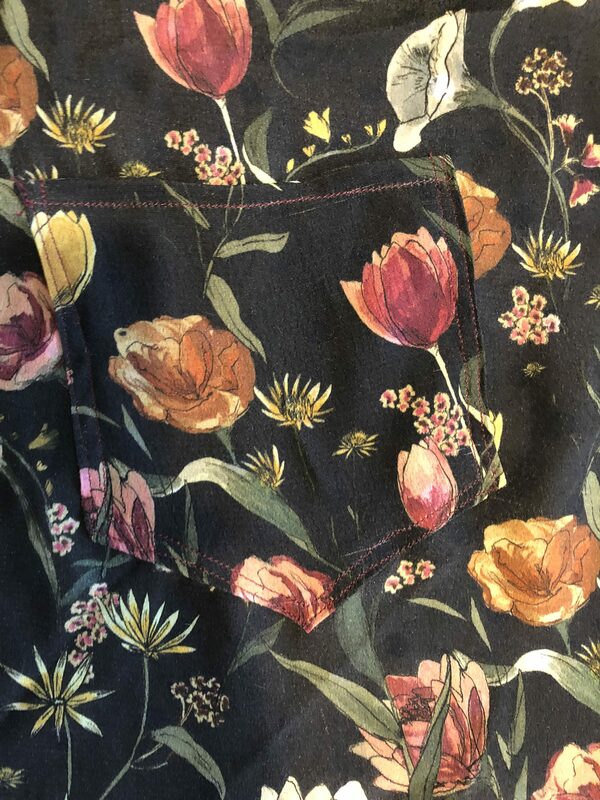 The details to the pockets to the button holes. I am much shorter than the pattern trouser wise anyway so I had to adapt in the length which I found easy to. I am a skinny jean/trouser kind of girl so in my next pair I plan to make them as skinny as I can. Making your own clothes also allows you to pick and make your own unique clothes. 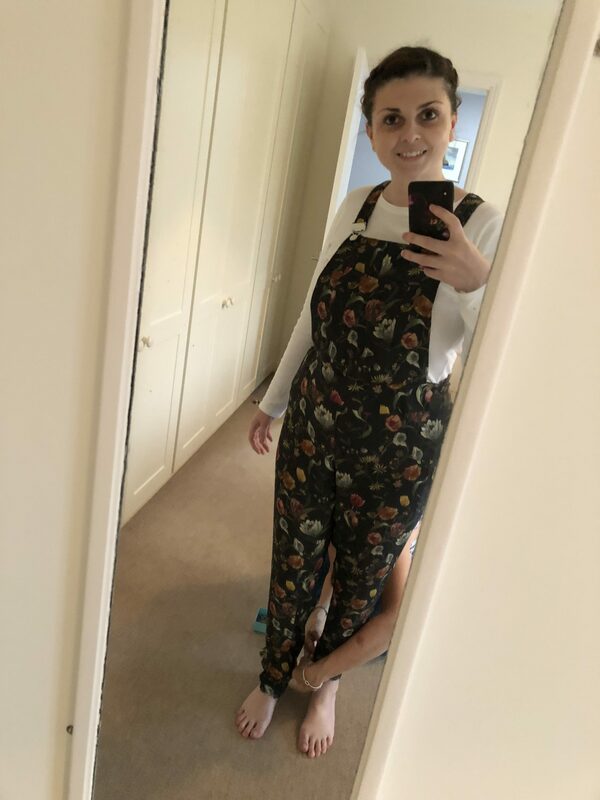 I don’t really see many walking round in my autumnal floral dungarees but I love the colours and pattern printed across. Again if this is the first thing you make please use a plan fabric just because it’s easier, but I love how different and out there these dungarees are. I also love that they can be dressy and I have worn these to work with brogues. 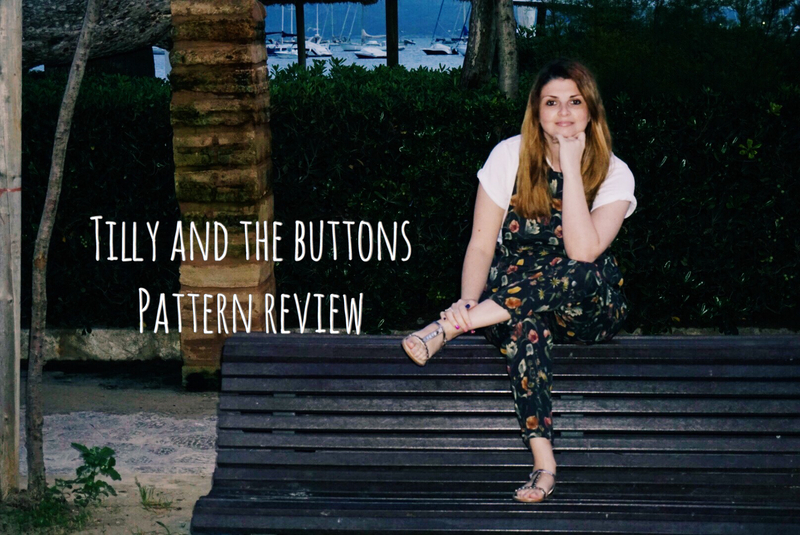 I love Tilly And The Buttons patterns, I also find her site really helpful with added online tutorials and places to buy fabric. I have four of her patterns now, and I can’t wait to buy and make more. 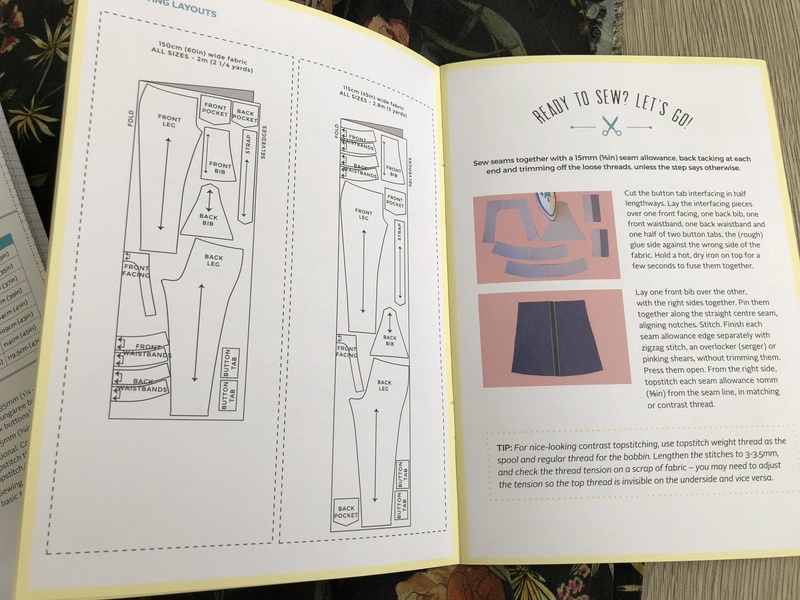 Its handy to have these for rainy weekends and especially now its winter and the nights are drawing in, perfect cosy evening or weekend chilling in your pyjamas making your very own clothes. 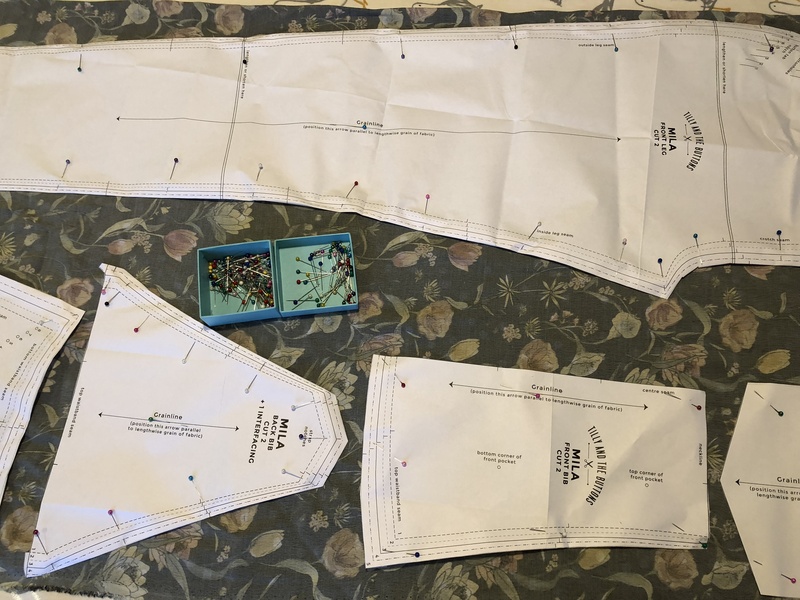 If you are new to sewing I would advise you to get a pattern such as the Stevie pattern. Because this is really easy to make. My Grandma who was one of the first to show me how to sew made this dress with me and found it really easy to follow and make this dress. Start easy and work towards something hard. You will be pleased with the dress you make or anything else you do. I would give these patterns 10/10, trendy, easy to follow and quick to make. I made the dungarees in 6 hours and the dress in 2 hours. Do you dress make? Have you ever used Tilly’s patterns and if so what one is your favourite? 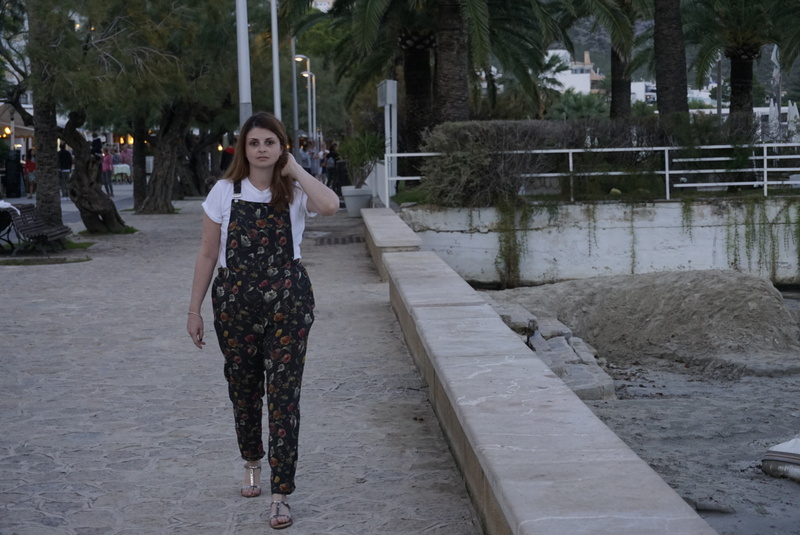 If you’re not into sewing and dress making, what do you think of my dungarees? Would you buy these or think they are shop brought? Oh wow! This is talent right here. I wish I could make something like this – way to go! I have a friend who loves sewing and making her own clothes, I will definitely pass this along to her.